UPDATE: Due to the threat of weather from Hurricane Florence, this event has been cancelled. 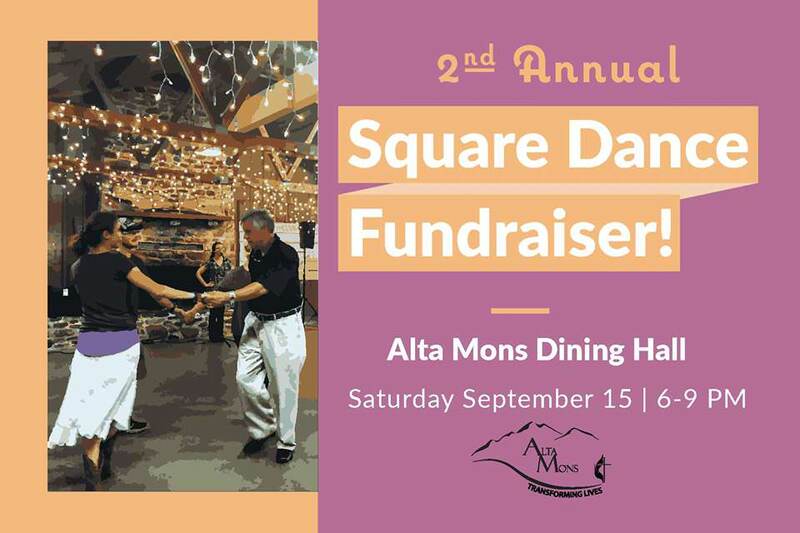 Camp Alta Mons presents their 2nd Annual Square Dance Fundraiser on Saturday, September 15, 2018 in their Dining Hall. Come out for a fun night to help support Alta Mons! There will be a lesson at 5:30 PM for those who want some tips. We will have food trucks set up starting at 5:00 pm so you can come have dinner with your friends and family beforehand. Food Trucks attending are Grandpa Ike's Mini Donuts, Cheesesteak Factory and Jerk House and Crave Italian Ice. Enjoy a great night to benefit Alta Mons! Alta Mons is located at 2842 Crockett Springs Road in Shawsville, VA.
To view the event flyer, visit: https://i.imgur.com/HID6rf2.jpg. For more information, visit: https://www.facebook.com/events/312280456208413/ or http://www.altamons.org or https://www.facebook.com/AltaMons/ or call 540-268-2409.